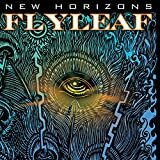 Flyleaf Albums, Songs, Lyrics And More at SongMeanings! The Belton, Texas-based heavy rock quintet Flyleaf formed in 2000 when frontwoman Lacey Mosley played a string of the dark, hard-edged songs she consistently wrote as a brooding teen for drummer James Culpepper. After a ... The Belton, Texas-based heavy rock quintet Flyleaf formed in 2000 when frontwoman Lacey Mosley played a string of the dark, hard-edged songs she consistently wrote as a brooding teen for drummer James Culpepper. After a brief period of playing together, they recruited guitarists Sameer Bhattacharya and Jared Hartmann, members of a local outfit that had recently called it quits. In 2002, bassist Pat Seals joined, and the band, initially known as Passerby, was born. The road to Flyleaf's 2005 self-titled debut on Octone Records was dotted with more green lights than red: the band played wherever it was invited around its home state at first, gradually building the kind of fan base that allowed it to open for acts such as Bowling for Soup, Fishbone, and Riddlin' Kids. By 2003, with word of Mosley's arsenic-laced lyrics and blowtorch-style delivery spreading through Texas and beyond, Flyleaf earned a spot at the annual South by Southwest Music Conference. A contract from Octone was rushed to the signing stages by 2004. 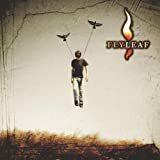 An EP, issued in early 2005 and also called Flyleaf, benefited from the production team of Rick Parashar (Pearl Jam, Blind Melon) and Brad Cook (Foo Fighters, Queens of the Stone Age). Key tracks such as the roiling "Cassie" and the emo-tinged "Breathe Today," both of which appear on the full-length, furthered Flyleaf's reputation, as did raging live shows alongside Saliva, Breaking Benjamin, 3 Doors Down, and Staind. For the fall 2005 release, producer Howard Benson (My Chemical Romance, Papa Roach, the All-American Rejects) joined Flyleaf in Los Angeles. A batch of 20 songs was winnowed to 12, with Mosley's searing vocals and Bhattacharya's and Hartmann's storming guitars offsetting each other to affect a sound by turns morose, compassionate, hopeful, and bitter. Following the release of Flyleaf, the band toured heavily on the festival circuit. They hit the main stage on the 2006 and 2007 Family Values Tour, as well as the Soundwave festival and Disturbed's Music as a Weapon III tour. They also made a jump to the world of video games when their single "I'm So Sick" was put in the first installment of the Rock Band series and their new single, "Tina," debuted in Guitar Hero 3. After taking some time out of their hectic touring schedule to record, Flyleaf released their sophomore album, Memento Mori, in 2009. In 2010 Flyleaf delivered the EP Remember to Live, featuring stripped-down, reworked versions of some of the band's early songs. In 2012 the band released its third studio album, the Howard Benson-produced New Horizons.